Printed from http://www.bodytalksystem.com//learn/news/article.cfm?id=1038 on Apr 22, 2019. Please join me in congratulating our new CBP in Malaysia, Maria von Stumm. With Maria, we are now 7 CBPs strong in Malaysia, up from none in 2015. I moved to Kuala Lumpur, Malaysia about two and a half years ago with my family. I had never been to the country before, knew no one and was the only CBP. My plan was to take six months study sabbatical before venturing into setting up shop. As it turned out, the universe had other plans for BodyTalk in Malaysia. Two weeks after I landed in Kuala Lumpur I learned, via Facebook, that two other CBPs in Malaysia had just qualified. I met up with one of them, Izak, shortly after, and we decided to organize a talk. We put out 12 chairs and 12 people came to sit on them. The next day, I got a call from a lady who had been at the talk, and she invited me to come to her house and give the same talk to her network. Fast-forward and that group of people made up the majority of the students in our first BodyTalk: Fundamentals class last year. I have graduated over 110 Access Technicians. It is challenging to pull students together for the international classes, and the course fees are very high as seen through Malaysian eyes. The costs of manuals and the enormously high shipping fees are a particularly big hurdle for a fledgling BodyTalk country in an emerging economy. We are very grateful for the support of Wilma Grobbelaar, Terryann Nikides, Andy Spencer and Jacquie McIntyre--traveling all the way, and making some concessions. It means so much that you came. 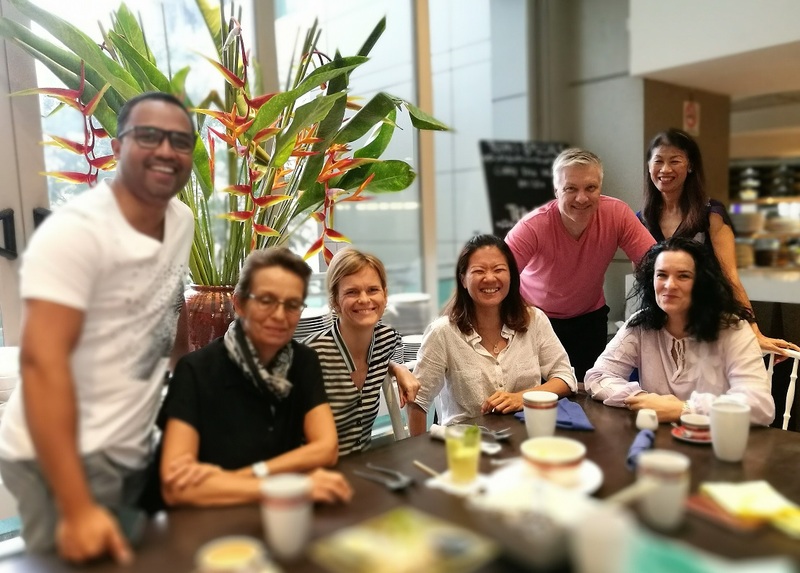 We are also pleased to recently celebrate the first anniversary of our Association, Pertubuhan BodyTalk Kuala Lumpur, and it's membership in the Federation of Complimentary and Natural Medicine Association, Malaysia. The Federation is a body of government recognized modalities under the Ministry of Health. Our BodyTalk association now sits on this board together with chiropractors, TCM practitioners, and so on. It has taken many government meetings and submissions of documents to get the Ministry of Health's approval. (These Malaysian government meetings come with an elaborate protocol which includes the playing of their national anthem, often done over someone's mobile phone speaker to the beat of frequent notification sounds from Whats App and Skype.) Needless to say, we are extremely pleased with this milestone.